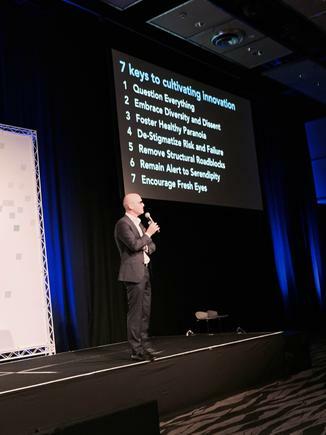 Trend forecaster Michael McQueen shared four key steps to take now in order to remain relevant in a disruptive era. "It takes only a few years for companies to move from ‘hot to not’". 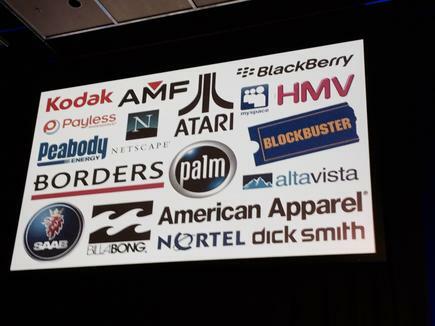 Michael McQueen, trend forecaster and author of the book Winning the Battle for Relevance, highlighted this by showing on screen a gallery of such brands from across the globe. 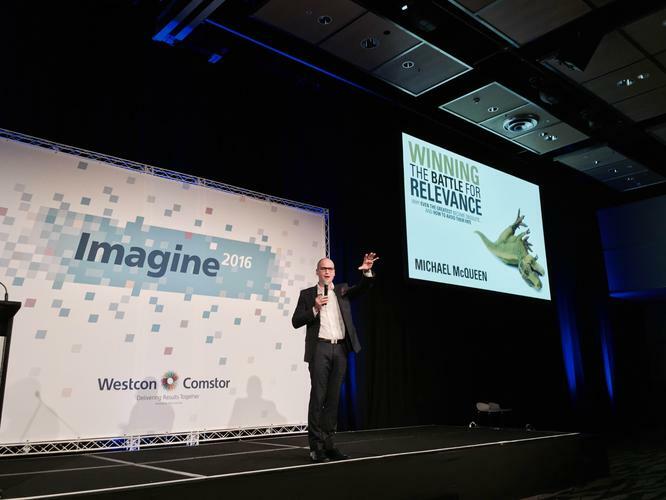 "None of us are immune to the very factors that caused these brands to remain irrelevant," said McQueen, during his keynote address at Westcon-Comstor Imagine 2016 in Auckland. “Why have the mighty fallen?” he asked. “Learn from their mistakes”. Disruption is going to happen, and disruptors will change the game in five to 10 years." 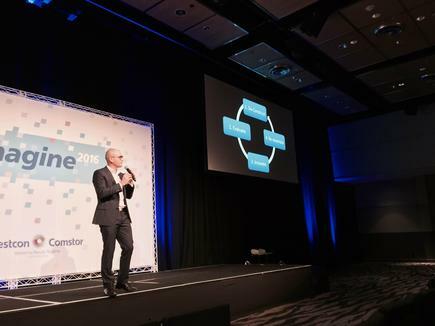 In front of a packed Kiwi crowd of channel partners, McQueen cited, for instance, the rise of autonomous vehicles. "The driverless cars will disrupt a whole pile of industries, like insurance companies and pay parking," he stated. "Owning a car in 30 years is like owning a horse today." Evaluate: "What are the things that we are doing that is not adding value or simply adding friction?" he asked. "For instance insurers always ask their customers if they know their policy number." Upon asking an insurer why call centre staff bother to ask this question when most customers do not know the answer, the reply was, “It is the way we have always done it." Innovate: "How can we do things differently?" he quizzed. Of the four steps, McQueen claimed innovation to be the hardest, as he shared some key ways to cultivate innovation. "First, question everything," he states. “No sacred cows and embrace diversity and dissent." In quoting Peter Drucker - who advised ‘never make a decision until there has been a disagreement’ - McQueen told attendees to "foster a healthy paranoia even if you do not have a competitor". "Remain humble and hungry," he advised. "But also de-stigmatise risk and failure. You can not have one without the other. How open are you to mistakes and failure?" McQueen advised partners to "remove structural roadblocks" from business, because "unless there is a way of sharing stuff, innovation will not be encouraged." Lastly, McQueen encouraged a “fresh eyes” approach for attendees - this could be from new staff who will see things the experts may have missed. “People with fresh eyes will ask one vital question, 'why'?" he concluded.